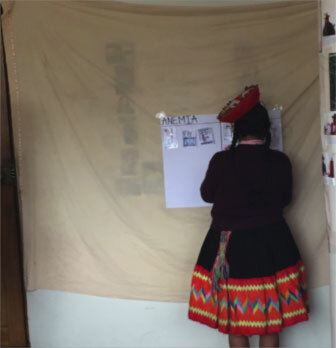 As I approach three months in Ollantaytambo, we held our first continuing education training, or capacitación, for our first two rounds of promotoras (P1 and P2). These promotoras have been part of the program for over two years. The topic of the training was iron deficiency anemia, which is a major health issue in in the communities surrounding Ollantaytambo. In 2014 in the Cusco region of Peru, 46.7% (N=58,896) of children under five and 21.7% (N=958) of women of reproductive age (15-49) suffered from anemia (ENDES 2014). Symptoms of anemia include fatigue, weakness, shortness of breath, dizziness, and headaches. Anemia can damage the brain, heart and other major organs, leading to poor cognitive and physical development and therefore reinforcing a cycle of low educational attainment and poverty. Anemia also contributes to reduced work productivity, an increased risk of morbidity in children, poor pregnancy outcomes, and even maternal death. Some symptoms of anemia as depicted in our recursos. Some symptoms of anemia as depicted in our recursos. Image courtesy of Kelly. The half-day training included a mixture of reviewing resources, or recursos, that promotoras could take into the field with them during house visits or presentations, and activities to reinforce messages learned. In one of the activities, we had the promotoras split into two groups and take part in a relay race to review foods with high iron content that can help prevent anemia. 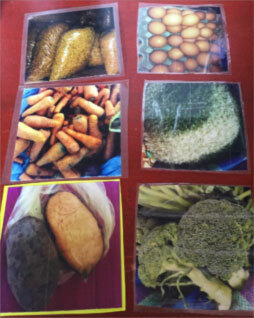 The promotoras ran to a station with 6 photos and had to correctly pick the two foods with iron, before returning to their team so the next promotora could begin. Can you identify the two iron-rich foods? Can you identify the two iron-rich foods? Image courtesy of Kelly. One of the challenges of working with the promotoras is that they are a low literacy group, as many of them only speak Quechua, the local indigenous language in Peru. Therefore we rely heavily on using pictures and movement games to stimulate learning. A promotora participating in an activity to identify the symptoms of anemia. Image courtesy of Kelly. The next set of trainings will focus on women's health. This new program will train a select group of promotoras to conduct targeted home visits to expecting and new mothers. Topics include pre- and postnatal care, family planning, healthy relationships, STDs, exclusive breastfeeding, and infant and early childhood development. Stay tuned to learn more about this exciting new program launching in January! 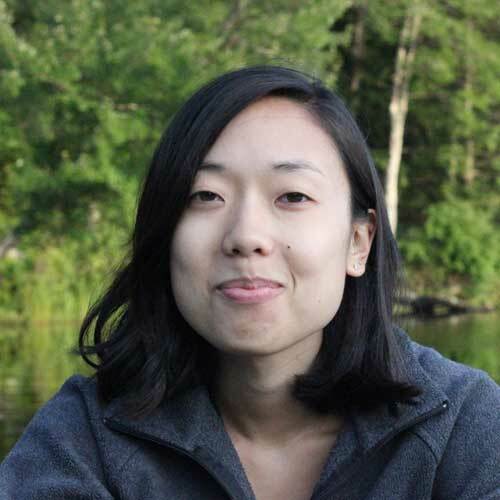 Kelly holds a master’s degree in public health from New York University. She currently volunteers in Peru with the help of a Christianson Grant from the InterExchange Foundation. Kelly volunteered in Peru with the help of a Christianson Grant, from the InterExchange Foundation.